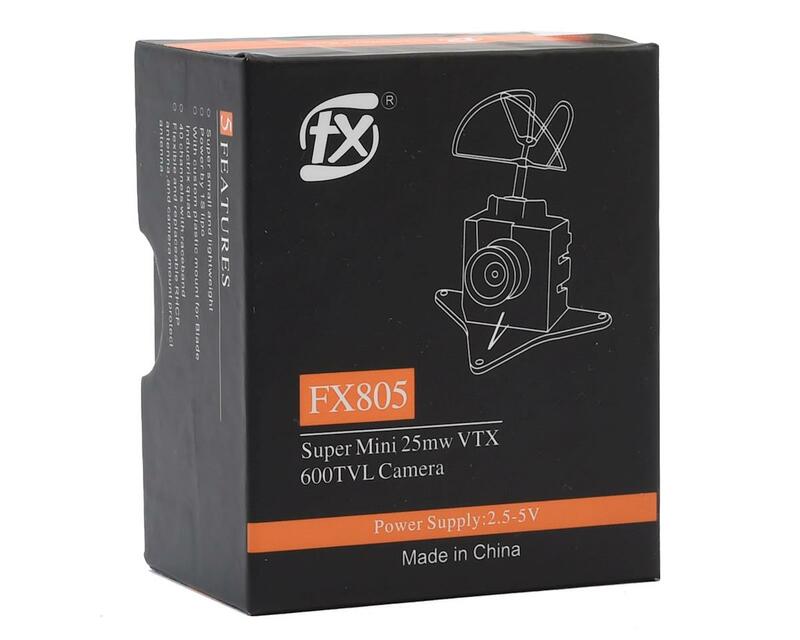 The FX805 5.8Ghz 25mW 40CH Camera & Video Transmitter is an amazing bit of technology and the newest version of this cam replacing the previous model, FX805. 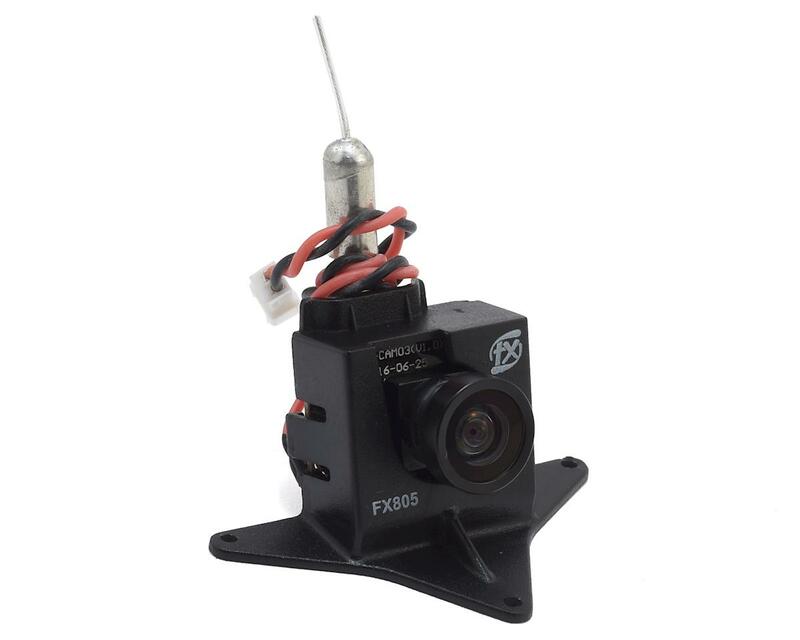 Perfect for ultra micro aircraft like the Tiny Whoop conversion and other small scale applications where space is limited, this 2-in-1 combo combines an FPV camera, transmitter and antenna into an incredibly small package. And it’s perfectly compatible with Fat Shark and other popular FPV headsets equipped with analog 5.8GHz receivers. Installation is easy and can be done in seconds. No soldering or special skills are required. You simply attach it to your model and plug in a 1S battery (sold separately). A Y-harness connector can be used to connect the camera to the same 1S flight battery that powers the aircraft if you want to eliminate the weight of a separate battery and improve the overall flight performance. Camera may be removed from the mount for additional weight savings and optional mounting methods. Weight: 4.8 grams with mount 3.8 grams without mount.